Having recently started training at a gym called Tiger Muay Thai (TMT for short, which I kind of like as it is also used by Floyd Mayweather for The Money Team) in Phuket Thailand, I have been changing my routine a little. Fast forward 5 months and my belly it starting to show, I’ve lost the 6 pack that I had before leaving the UK and the muscles that I used to have are seriously non muscular. It was time for a shake up. But that’s not the reason I am writing this post. I dabbled in a bit of yoga in Rishikesh in India and I was sold on it. Now that I am here I have been going everyday in the morning for a 6.30am start. It is very early but it’s so refreshing to get a workout in that early in the morning. But that’s not the reason I am writing this post. However, now that I am here I can’t be doing that in the evening because I need to be in bed around 9pm so it leaves no time for that. I don’t feel like doing that in the day because I have other things to do. So, I came to the conclusion that the time I have been spending over many years in the evenings is quite often “Dead Time”. Note: I’m not as lazy as I make out, in those evenings I have also been creating many websites but in my eyes I have also spent quite a few on the 2 points above. 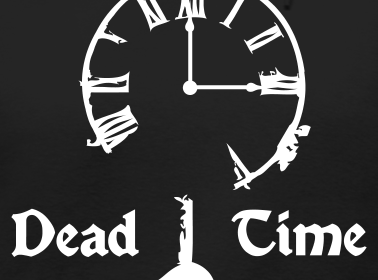 Now that I seem to have removed this “Dead Time” it seems like a great life improvement, but there are two reasons that I can think of immediately which may steer me slightly off my new found, productive course of direction. Getting up at 5.30am is quite hard work sometimes, especially when other people are making noise after 9pm at night. I’m sure that at some point the draw of going out for a few drinks will lure me in against my will…I’ve already seen a glimpse of it starting this Sunday! So a good question to ask yourself is “how much time do I kill?” If you are killing a lot maybe you can look at ways to stop killing time because once the clock has ticked further on it will never tick that time again.